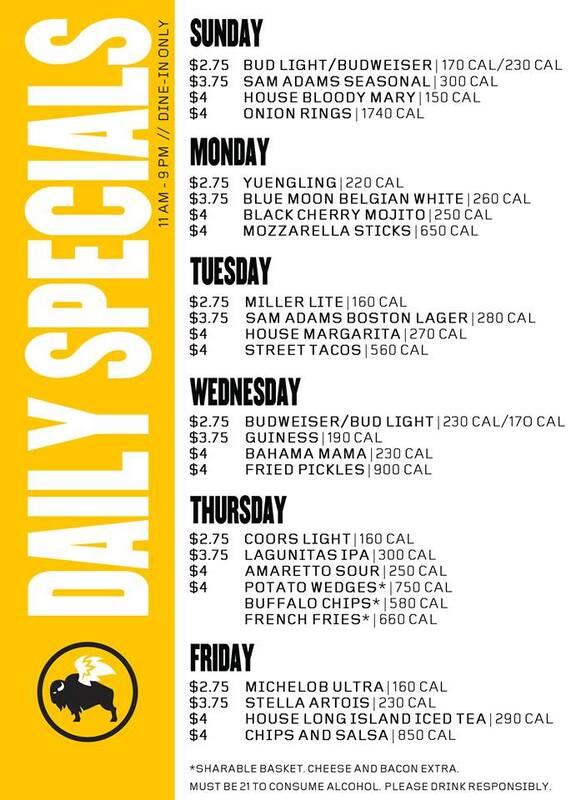 Buffalo Wild Wings Grill & Bar offers their Wednesday Specials every Wednesday from 11:00 am until 9:00 pm. To view the event flyer, visit: https://i.imgur.com/z74xfIQ.jpg. For more information, visit: http://www.buffalowildwings.com or https://www.facebook.com/BWWBlacksburg or call 540-552-9464.